Long before processed paper symbolized currency, the plants themselves directly moved from hand to hand in the economic exchange, acting in their own right through myriad displays of desirable qualities. In days past, the Frankincense resin in particular held the power to take away pain, purify and electrify the air and senses, and buy the very allegiances of gods. Boswellia Serrata, a small deciduous tree member of the Burseraceae Family, produces the Indian Frankincense Resin when wounded. 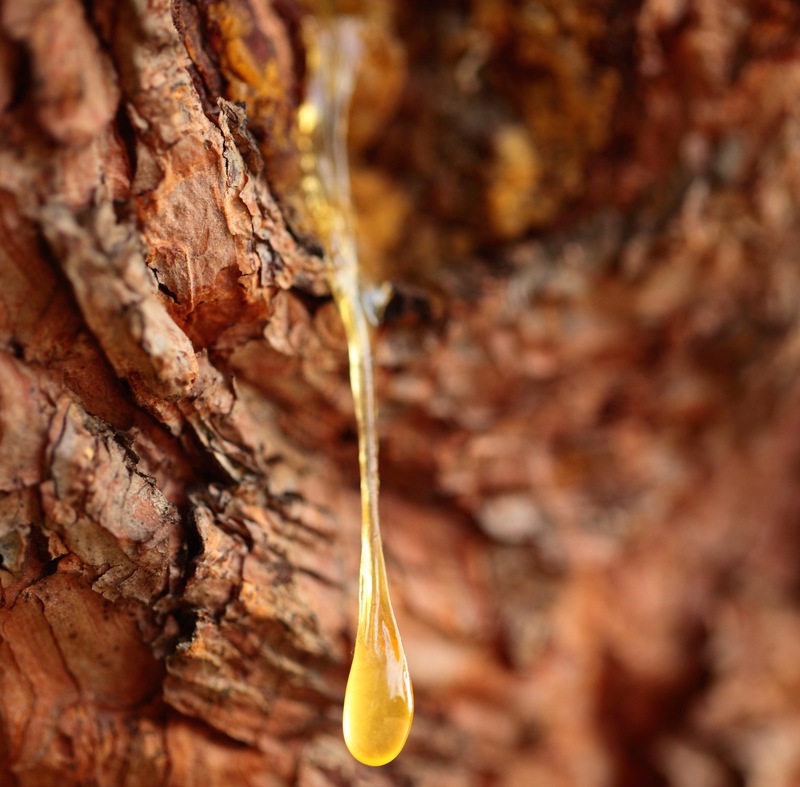 This gooey, intoxicating substance is secreted by the trees when they are wounded, and is a gift for any human to ever consume in turn, to ease the pain of our own wounds. This is our raw material. After growing these trees organically in India, our partners carefully harvest their resin and perform a Supercritical (CO2) extraction. This process yields a potent concentration of the plants’ highly active terpenes, or volatile oils; the molecules responsible for the aroma that commanded the price of Gold. You will not find another supercritically extracted Boswellia supplement in herbal commerce. It’s too sticky. No one but Tattva’s Herbs will give the time and attention necessary for this arduous task. Boswellia Serrata, Indian frankincense or Salai is called Shallaki in Sanskrit. While it is true that our Boswellia CO2 extract contains 257 mg of Boswellic Acid per capsule, the part of the plant studied for it’s effect on pain receptors, let us not mistake milligrams with United States currency. Today one can purchase a 120 count bottle of Boswellia Serrata CO2 extract for $49.95 U.S., however this aromatic treasure still holds preeminence in religious rituals, has been offered as a sacred gift to royalty, and widely traded for riches such as gold and jewels throughout human history. In our next edition, we will explore the medicinal applications of this precious substance Mother Earth so graciously loans us, along with Her stern instruction to use this medicine wisely and with gratitude.